SIT 117 Katrik - Emotions. Released on Monday 13th April 2015. 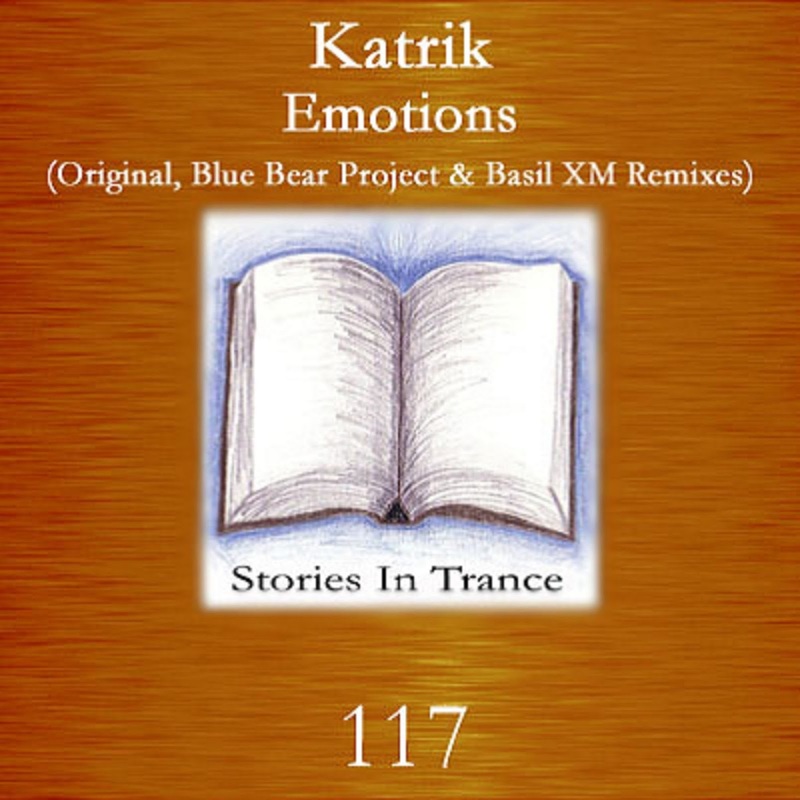 This is Stories In Trance, and we present to you SIT 117 by Katrik with his three track single Emotions. As always we have the Original first up and it's a debut release for new producer Roman Katrinesku under his alias Katrik. Emotions is a driving, energetic track with uplifting and techy elements all expertly underpinned by gloriously well rounded low-down power. This is big room trance at its best! If future tracks from Katrik are of this high standard then there will be plenty more to look forward to from this talented producer, and SIT will be featuring more of his work very soon. The first remix comes from Finnish duo Teppo Herttuainen & Timo Pitkänen, AKA Bluebear Project. Over their production career they have had appearances on labels such as Blue Trance Records, Colorful, Daif & Andromeda, and here they make a first appearance on Stories In Trance. After a break from producing they have returned with an absolute stormer in the shape of this sublime remix. A truly imaginative interpretation, building around all the qualities of the original, they give us an instant classic. Interesting from the very start and ever developing this is a track to savour, an awesome return to music, and a great sign of things to come from the undoubted talents of this Finnish pair. The final part of this release comes from Basil XM. Fresh from his first appearance on SIT with his stunning remix of Craig London's Another Beginning (Trance Is Here), (SIT 115) Basil is back with another fantastic remix. This reinterpretation is a perfect mix of the style of the original excellently balanced against Basil's own production technique to give us another stellar production from a very exciting new artist.